Returning just in time for the summer is the iconic Air Safari in an all-new suede-based build. Outfitting the '80s classic, we see a clean combination of black, orange and white that's sure to appeal to all fans of the classic running silhouette. 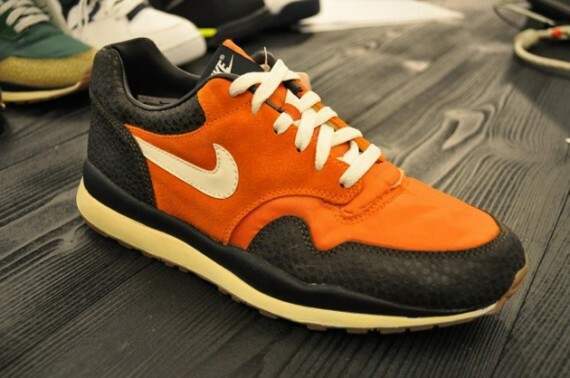 Orange handles the suede overlays and nylon toe box, while black handles the safari print along the toe and heel. White hits the Swoosh, laces and midsole, topping off this future release of the Air Safari. Look for the Air Safari to return this summer in a variety of all new colorways.